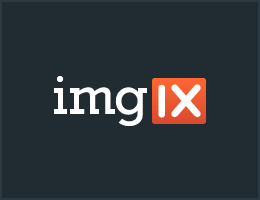 With imgix, integrating responsive images into your app could not be easier. imgix resizes, crops, and processes images on demand. Learn how to start delivering responsive images in less than 30 minutes. Electron is an open-source project from GitHub that lets us create cross-platform desktop applications with web technologies. Rather than converting ES6 to ES5, as Babel does, xto6 tries to bring your ES5 code up to ES6 semantics. ..to avoid breaking their user’s software and to ship stable releases, using npm’s package distribution tags. There’s been some concern over the status of the Sails.js project. Updates all round here. A lot to read, but if you’re into React Native, it’ll be worthwhile. Bringing your Angular app together with Material Design. A flurry of posts including configuring ES6 standard library and helpers, loose mode, and Babel and CommonJS modules. The overall response is.. whatever it does, don’t do it. Groovy is an object oriented language from the Java platform. Well presented. Check out the live demo. The launch of the Angular 2 Beta demands immediate attention by most organizations due to the massive impact it has on existing and future application development. Join our experts to understand why moving to Angular 2 is now your most important initiative.